Read the first short scary story in The Bedsby Tales titled Thoughts of Unknown. I don’t know exactly when kids start to get scared of the dark, but I believe it has something to do with the things they read or experienced. As their long-term memory piles up and their thoughts become increasingly complex, negative experiences can have a long-lasting impact. Kids may then develop fear of monsters under the bed or get anxious when a door opens by itself. Regardless of the cause, kids may get scared when they can’t explain the things that happen in the dark. I believe it’s part of our duty as parents to help them overcome their nighttime fear. Using a storybook app such as The Bedsby Tales, we can read a scary story with our kids to make them develop a positive imagination instead of a frightening one. The Bedsby Tales is designed as a collection of short scary stories to tell in the dark. The storyteller in the app tries to create a somber mood by hiding his face. Using terms and environments that are familiar to kids, the story tries to scare kids in their own home. The first episode, titled Thoughts of Unknown, explores how kids can construct fear based on their imagination before investigating the facts. It is set in a dark old house that seems empty, but starts making weird sounds at the stroke of midnight. Sometimes they sound like echoes, other times they sound like whispers and moans. A young boy is sleeping by himself in a very dark room drenched only by the light of the moon. He tries not to stare at the dark places in his own bedroom. He can’t stop thinking about the monster that may be lurking under his bed. As the noises get weirder, he gets more and more frightened. What would happen next? Will he be able to overcome his fear all by himself? The Bedsby Tales is more appropriate for kids ages 9+ who have broader experiences and have developed more complex ways of thinking. Perhaps they have had sleepovers and listened to their friends telling spooky stories. Reading this story with your kids can help prepare them to think clearly when they are on their own. In addition to an autoplay mode, the app offers an interactive mode where kids can decide what they’d do when faced with the scary situations in the story. The app will show a pop-up where they can select whether they would be scared, shocked, or brave. The interactive mode also includes a simple puzzle game, allowing them to be more adventurous and involved in the storyline. To give you an idea of what you can expect, here is a short excerpt from the story. Imagine how your kids would feel when these lines are narrated in a deep voice meant to develop their fear of weird sounds they hear in the old empty house. Sometimes you can hear them moving to your room. Calling out in echoes, looking to consume. At first just a whisper, then a loud moan. Your mind play tricks on you with thoughts of unknown. Usually in the dark, not in the light. You start to hear scary sounds at the stroke of midnight. I don’t like horror stories, but I enjoyed the first episode of The Bedsby Tales. I can’t wait to read the second episode titled Basement So Deep. The app is wonderfully narrated by Kevan Brighting of The Stanley Parable. Combined with an excellent musical score, his deep voice sets up the perfect stage for the story. As a parent, I appreciate the idea behind this app. Instead of going all out spooking the kids, the story focuses more on how the fear is developed. Reminding both kids and the parents that everything starts from the mind. Now, it’s up to us to help our kids overcome their fear by working with their imagination. 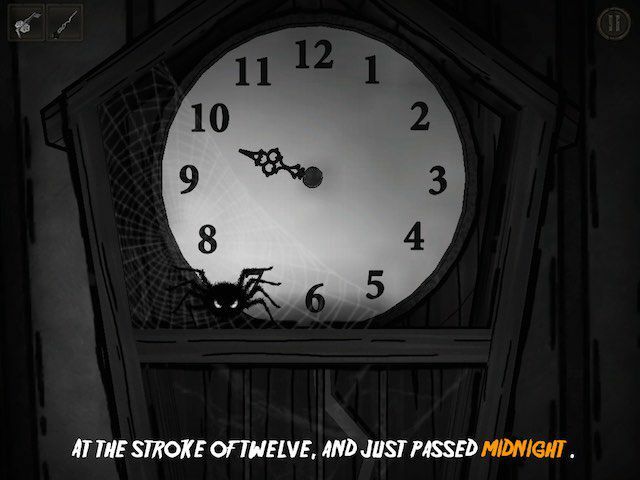 In the interactive mode, you can decide what to do when the scary things occur. 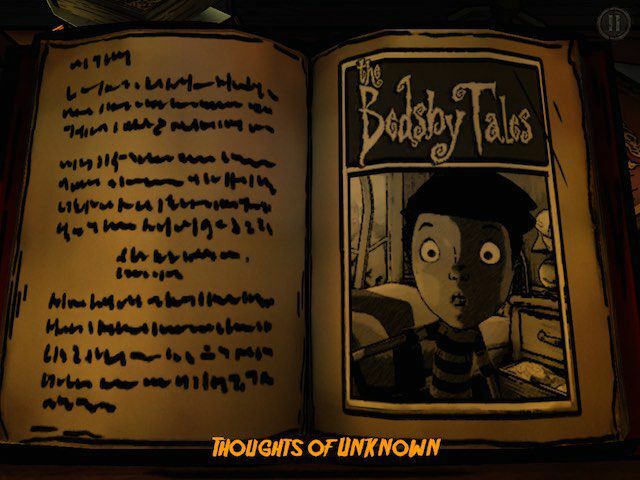 The Bedsby Tales offers short scary stories that aim to help kids ages 9+ understand and overcome their fears of the darkness. By reading the story together with our kids, we can help them realize how the fear is actually constructed, and what simple things they can do to prevent and overcome such fear.